What better way to explore patterning, lines and painting than with our uniquely designed paint scrapers in the shape of animal claws, toes, wings or hooves! Check out our R54560 Animal Paint Scrapers here! 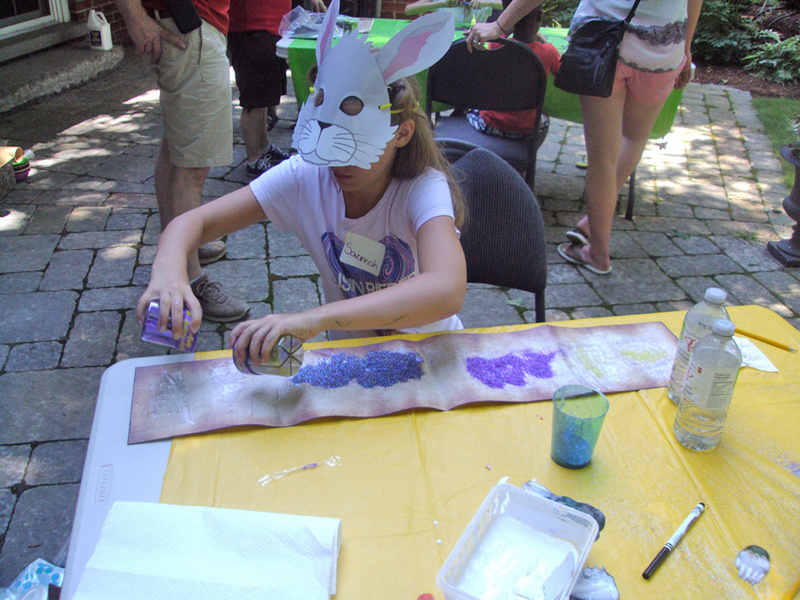 Our crafters had a blast experimenting with the Animal Paint Scrapers and paint. We used printed R15406 Rolly Scrolly Paper to bring out the brightness of the paint colors. 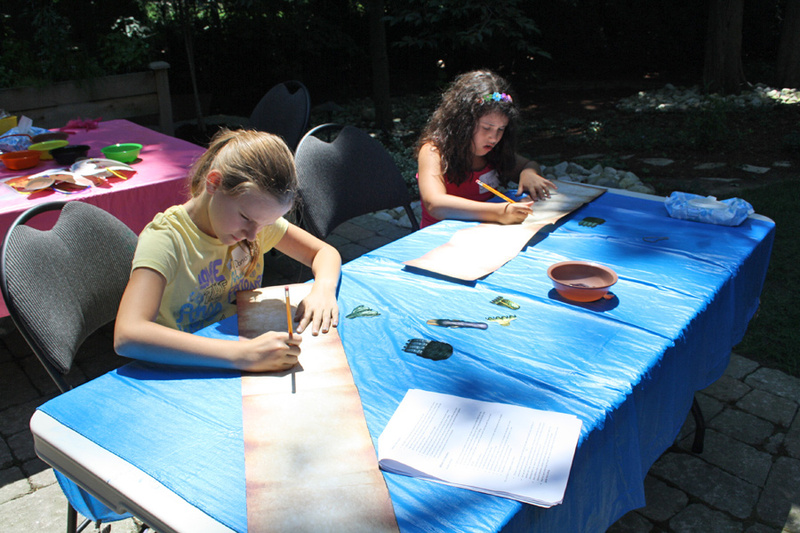 First, we filled up bowls with thick tempera paint. Each paint scraper was dipped into the paint to saturate the edges. 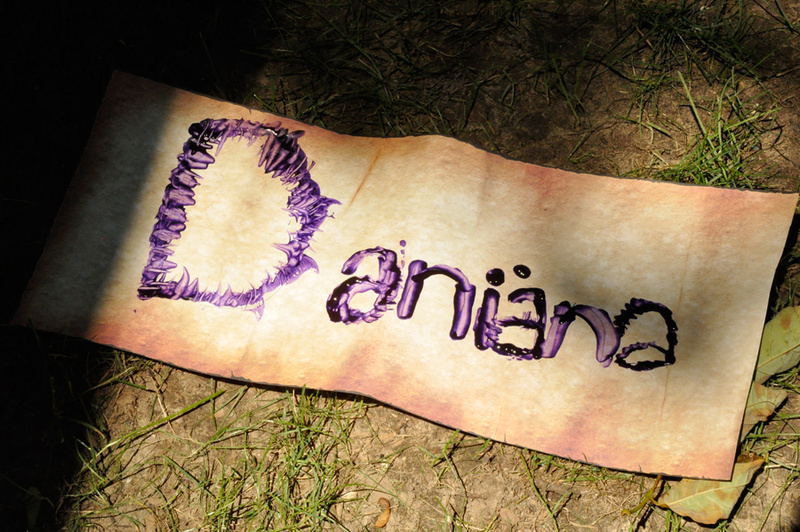 Next, one of our crafters came up with the idea that she could spell her name out with the paint scrapers using the unique waved edge as a writing tool. If your students would like to try out writing their names with the paint scrapers, we suggest you first provide them with pencils to write their names out as a guide for when they begin painting. This will help you keep track of how large or small the name will appear on the paper as well. Keep lines light in case anything needs to be erased! Another crafter decided to try spreading glue across the Rolly Scrolly paper using our Animal Paint Scrapers. She later spread colorful glitter on top and shook off the excess glitter to reveal an interesting pattern. 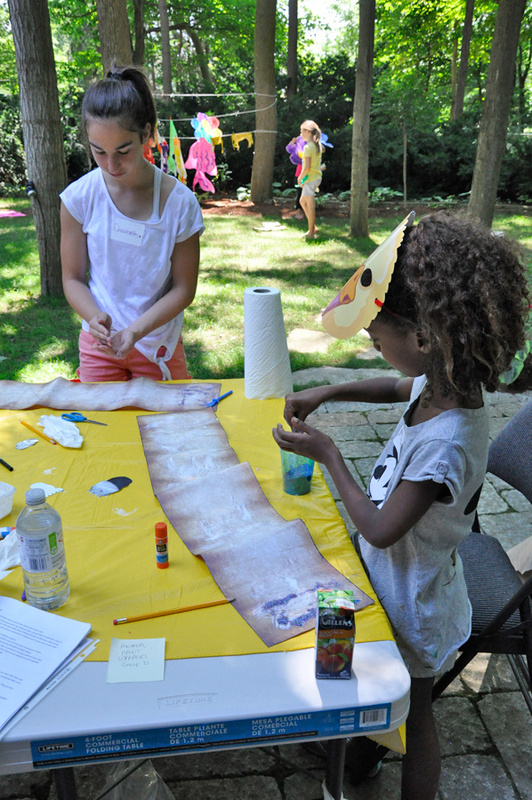 The crafters learned some important characteristics about the paint scrapers: Each of the paint scrapers had their own distinct edge to create interesting textured lines. Some lines turned out thick while others were thin. By adding stylistic effects with the edges of the paint scraper, our crafter was able to turn her name banner from ordinary to extraordinary! 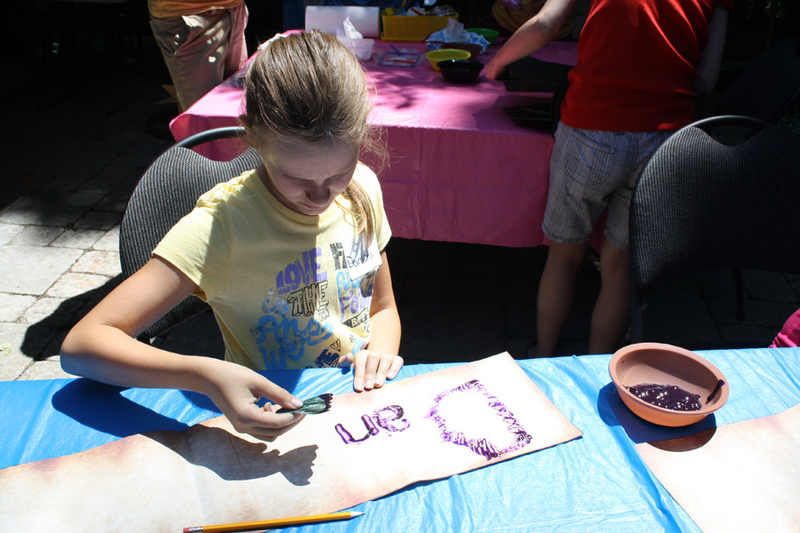 Let us know how your students’ paint scraper art turned out by sending photos to us! Contact us through the contact form. We’d love to see your classroom artwork! This entry was posted in Art, Crafts and tagged art, art camp, art education, art teacher, kids art, paint ideas, paint scrapers, school art by roylcoblog. Bookmark the permalink.